Some books are to be listened to – in the car, while making dinner, on the tube. 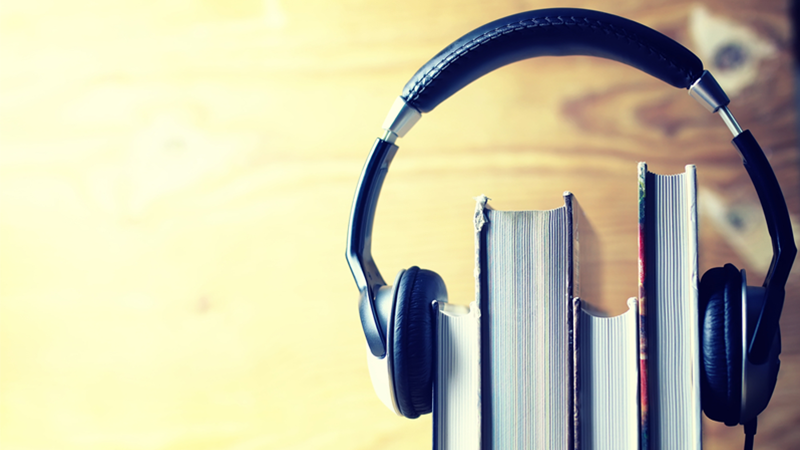 Whether because they are weighty tomes you don't want to carry around or because the reading is just spot on, these are some of the best audiobooks around. So said Sir Francis Bacon. I would add to that: some books are to be listened to – in the car, while making dinner, on the Tube. Whether because they are weighty tomes you don't want to carry around or because the reading is just spot on, these are some of the best audiobooks around. Hanya Yanagihara's A Little Life, a heart-breaking story of brotherly love and the limits of human endurance, is made for audio. At 720 pages long it's hardly handbag friendly, but more importantly the beauty of A Little Life lies in how completely immersed in the lives of these characters the reader becomes. Having Jude, Willem, JB and Malcolm with you while you go about your day only intensifies the experience. The only downside is that you will undoubtably end up in tears on public transport. Amy Poehler's Yes Please. We've already gone on at length about how much we love this audiobook. Read by the Parks and Recreation star herself, it has guest appearances from Patrick Stewart and Kathleen Turner and others who stroll into the studio. Listening to it is like hanging out at your hilarious best friend's house and Poehler's wisdom is delivered brilliantly. Lisa Owen's Not Working is one of our favourite debuts of recent years but it's even better when you have it read to you in Claire Flannery's voice. This is the story of a life unravelling as Claire quits her job in order to discover her true vocation. Listening to the audiobook feels like a spending a slightly tipsy evening with your most hilarious, smart and shambolic friends. C. J. Sansom's Shardlake series is now six books long, and once you've started the series you'll be so hooked you can't stop. They're pretty weighty tomes, though, so the unabridged audio downloads, read wonderfully by Steven Crossley, will make life easier and your bag lighter. Start with the first, Dissolution, in which lawyer Matthew Shardlake is sent by Cromwell to uncover the truth behind some dark happenings on the Sussex coast, and keep going! If Tudor history is your bag then no doubt Wolf Hall and Bring Up the Bodies will be on your list, if you haven't read them already. Many a reader has commented on the confusion of who is doing and saying what when because Mantel often uses the pronoun 'he' rather than naming her characters, but Simon Slater's reading makes it all clear and you don't find yourself flicking back through the pages (or in this case rewinding the reading) to work out who is speaking. Make sure you get the unabridged version. “Burial Rites is one of the best audiobooks I’ve ever done,” says Picador's Audio Publishing Director Rebecca Lloyd. It's incredibly atmospheric and reader Morven Christie completely inhabits the character of Agnes Magnusdottir. For a novel which is so much about storytelling, audio has to be the best way to experience this heartbreaking true story of a woman accused of murdering her lover and condemned to die. The Melrose novels are superb too. Alex Jennings, who starred as Prince Charles in the film The Queen, reads Edward St Aubyn's dark and ironic novels with a pitch-perfect tone. In this extract from the first book, Never Mind, he describes Patrick Melrose's father, David, callously drowning some ants with a hose, and perfectly captures the cruelty of literature's nastiest father. Zero K is Don DeLillo's wisest, richest, funniest, and most moving novel in years. One of the greatest living American writers, DeLillo writes beautiful, visionary novels brimming with ideas that you just want to sit back and absorb. Jake Gyllenhaal reading The Great Gatsby by F. Scott Fitzgerald – what could be better than this outstanding actor reading the twentieth century's most famous novel? Dan Stevens reading Frankenstein is as much for fans of the actor as of Mary Shelley's classic novel; the two bring out the best in each other – Stevens's voice for Frankenstein is phenomenal. If you want to listen to The Railway Children by E. Nesbit, read by Jenny Agutter, in public, then be prepared to be offered tissues on the tube and have passersby ask if you are ok. Just as with the book and the film, you will have tears running down your face. For more audiobooks from Picador explore the playlist below. Sign up to the Picador newsletter to be the first to hear all the latest news on our books, authors and events.